BACK BY POPULAR DEMAND, this box was once discontinued by Owens but they brought it back as a special order item! This Hunter Series Double Kennel Dog Box is ideal for the hunter needing to travel with two dogs. 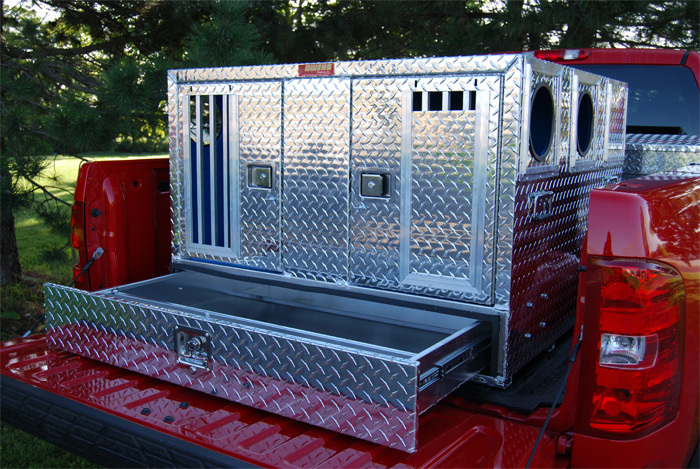 Not only can you transport your dogs right into the field with you, but the convenient bottom drawer storage compartment can be used for storing all of your hunting and training supplies as well.